Christmas is getting awfully close and panic has set in. If you are wondering how you’ll feed all your guests coming for Christmas dinner, worry not. With a little pre-planning, this holiday gathering promises to be a total success. Use your calendar to determine when to schedule items on your to-do list. Map out when to grocery shop, set the table and when to start cooking. Avoid burn-out by accomplishing several items each day. If you did a thorough cleaning of your kitchen prior to Thanksgiving, you are ahead of the game and only need to spot clean now. Do last minute touch ups like vacuuming and bathroom cleanups on the day before the event. Plan your menu – Keep it simple. Don’t try to cook everyone’s favorites. Have the main course and a few sides. If guests insist on helping invite them to bring their favorite dishes. Extra ice is always needed. Generate a shopping list – By planning the meal, appetizers and beverages ahead, you know exactly what to get from the grocery store, which minimizes overspending. Keep a stocked pantry – Having staples on hand during the holiday season keeps you from constantly running to the store. Many of these items go on sale for the holidays, so stock up. Cook ahead – By mixing, chopping or cooking portions of a recipe a few days ahead, you can quickly combine them to finish the dish. Try to leave only a few dishes to prepare the day of the event. Set the table – Table cloths, napkins and silverware can be put out days earlier but keep the plates and glasses until closer to the date. Have your serving pieces washed and ready for use. Re–arrange furniture – Open space for people to mingle and have conversations. Rent extra tables and chairs – Give your guests ample seating for the big event. Fire up the heaters – Don’t let outdoor spaces go unused. Rent propane heaters to increase overflow space. Parking – Make sure you let your guests know where to park. Clear your driveways and sidewalks of snow. Salt or put sand down to avoid falls. If raining, have extra umbrellas handy. Lighting – If your festivities are at night, put out additional outdoor lighting to help guide your guests. Pets – Depending on how your animal responds to strangers, you may want to put them in a quiet room to celebrate in peace. Don’t forget to treat them to some holiday cheer with treats or a new toy. 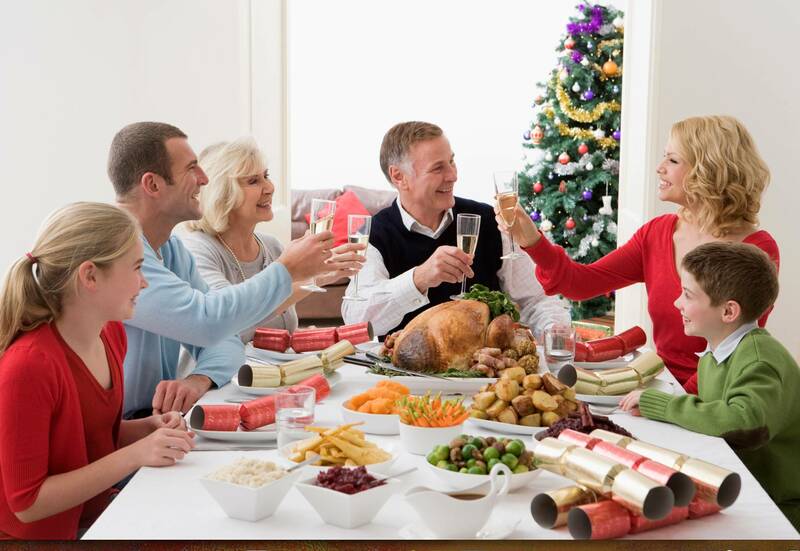 By planning ahead, you can make your holiday gathering enjoyable for family and guests (while less stressful for you). There’s still time to get organized. This holiday have a smile on your face and a beverage in your hand as you greet your company. Your family may not recognize this relaxed version of you! From banquet tables and folding chairs to portable heaters and generators, our expert staff is always on hand to help you throw the best holiday gathering ever. Need to thoroughly clean your kitchen for the holidays? Our blog, Pre-Holiday Cleaning Tips for the Kitchen, will get you ready for the big day. As always, if you have any questions about pricing or how-to’s, don’t hesitate to contact us. Stop by our store — we’re open seven days a week.